In college, I declared that women should receive monetary compensation from the government for having to endure periods. My roommate thought I had a worthwhile theory, but most of our friends declared the plan nuts. Having your period is a privilege, they argued, part of the great plan of womanhood. I wondered then and continue to wonder today, why the miraculous plan of life has to include periods, especially periods that can be painful for some and inconvenient for all. But periods are a big part of the plan, and tampons and pads are a necessity for most women for about forty years. I haven’t forgotten the inconvenience of running out of tampons. Hiding them in my shopping cart. Sighing at their steep price. 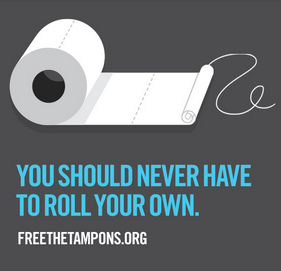 Free the Tampons is an organization fighting to make tampons available in all restrooms. Check out their website here. And watch this TED Talk by advocate Nancy Kramer. No doubt this concept will not make businesses happy. Tampons are expensive. This brings up another issue. Taxing tampons and pads. 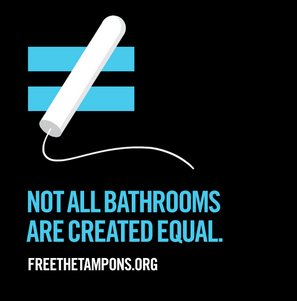 Check out this article on the Time Network reporting that all but five states tax tampons. The movement is growing in the U.S. and worldwide to remove tax on tampons and pads. Read about it here and here. Maybe, oh so long ago, arguing in my dorm room, I was onto something. Periods are not easy to deal with. We need all the help we can get. As menopausal women, let’s endorse the movement in support of our younger sisters. 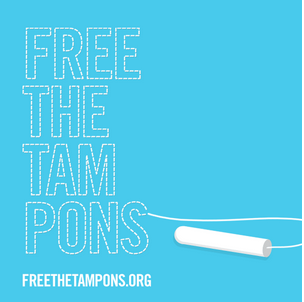 Free the tampons! Next postA Hot Chocolate Toast! I never knew there was this organization. I just think they shouldn’t be taxed. You have raised my awareness today! Had never thought about the tax issue. They definitely shouldn’t be taxed! Ms. Kramer is absolutely right, I used to carry tampons at all times, everywhere! Always had a purse and logistical plan. (Design and construction background – no tampons anywhere, ever and I traveled on business) You go, girl! Over here in the UK the sales tax on tampons and pads was reduced from 20% to 5% a few years back. There was a debate in parliament about reducing it to zero, but apparently that would breach European Union rules!! The free tampons in washrooms is certainly a good idea. I guess we all had times when we got caught short! Fun to hear how you do thing on the other side of the Big Pond! Welcome! 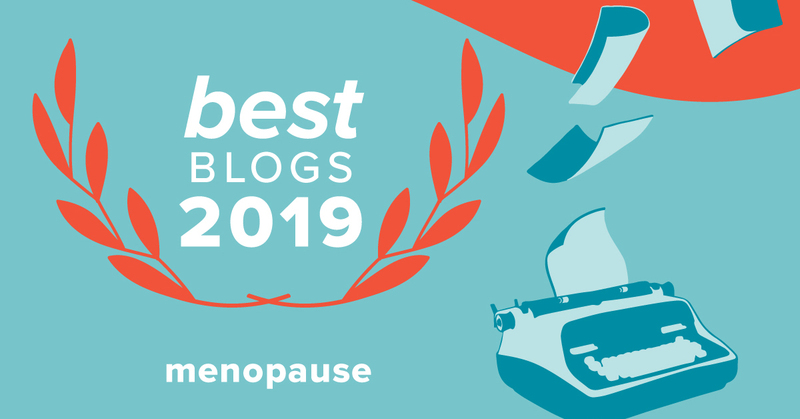 I blog about menopause, other women’s health issues, midlife, and lots more topics, be they serious or whimsical. Please join me for the ride! No More Letters: How Sad Are We?